Denis escande, passionate about his work and a pioneer in his and most importantly determined to satisfy his clients’ most stringent requirements, has succeeded in “transforming a traditional court” into “a true work of art”. 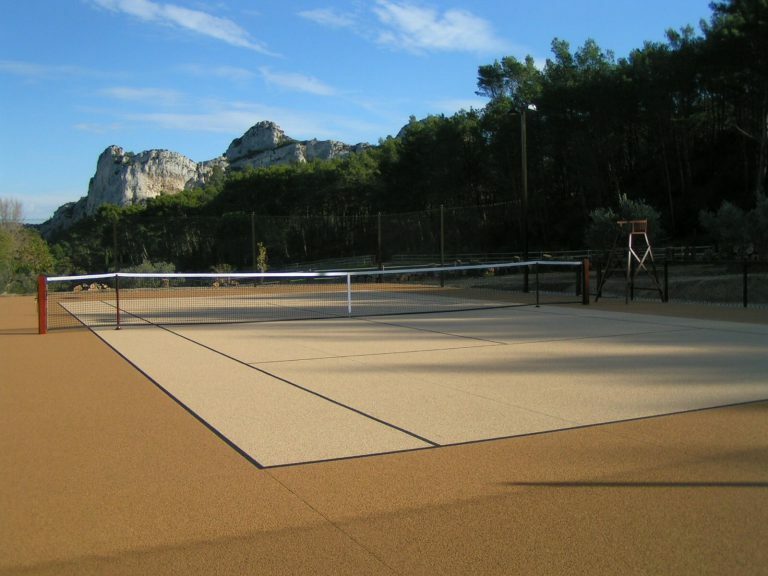 By combining tradition and cutting-edge technologies to best serve the clients, the addresses individual needs by creating high-end courts using only the finest quality materials. 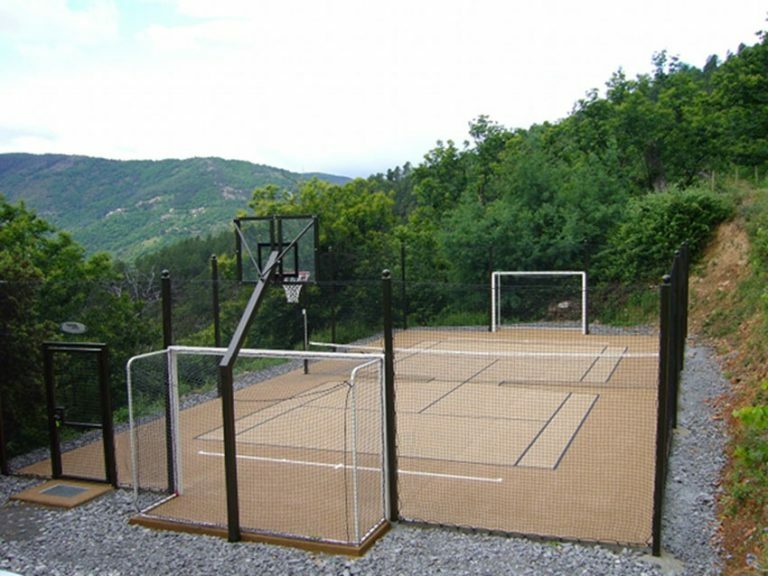 The accessories of the Prestige range are made of high quality and noble materials by craftsmen, they make the difference for you court thanks to aestheticism and sophistication. 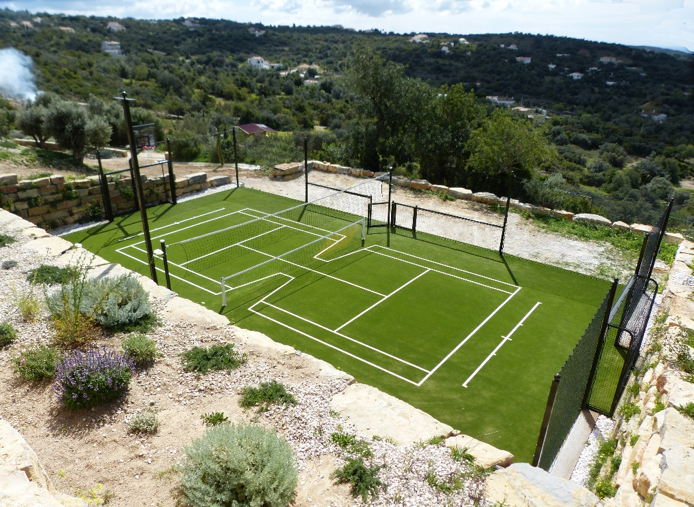 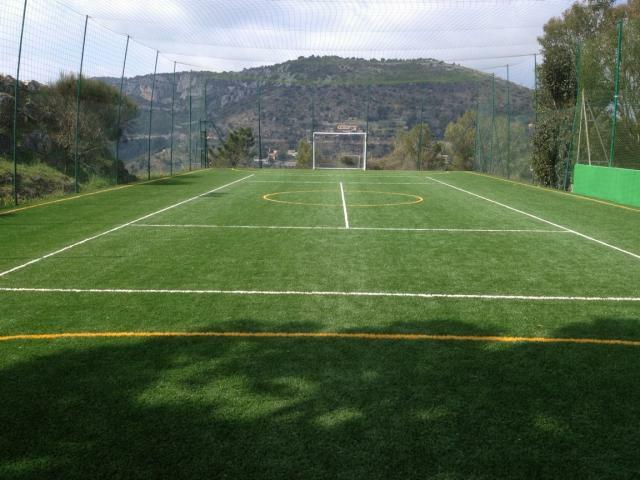 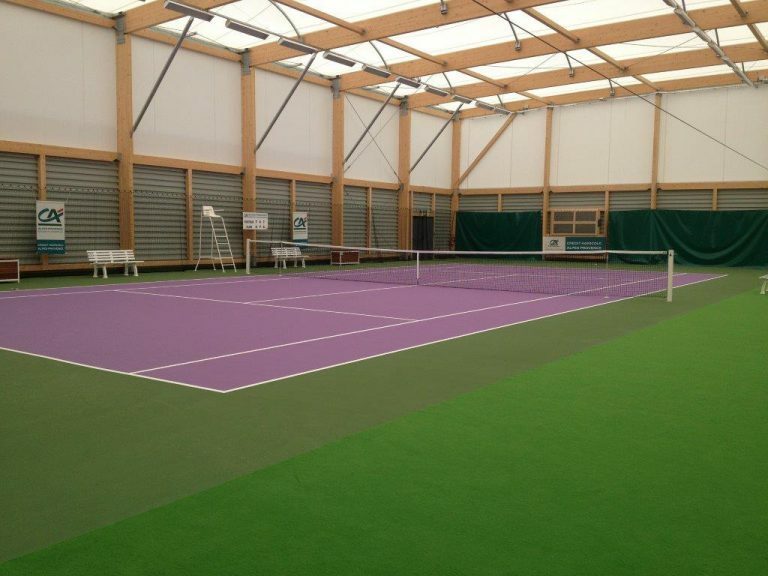 Installation is undertaken with the utmost care to blend your tennis court in with its surroundings. 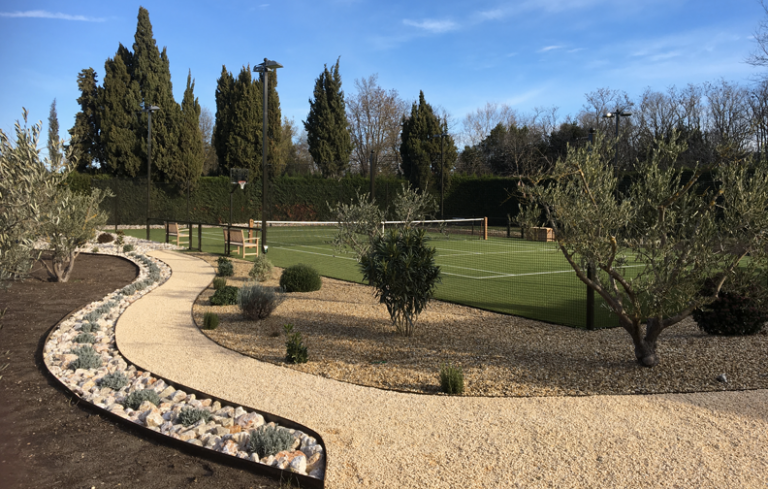 The environment is harmonised with the court to ensure the preservation of the original landscaping. 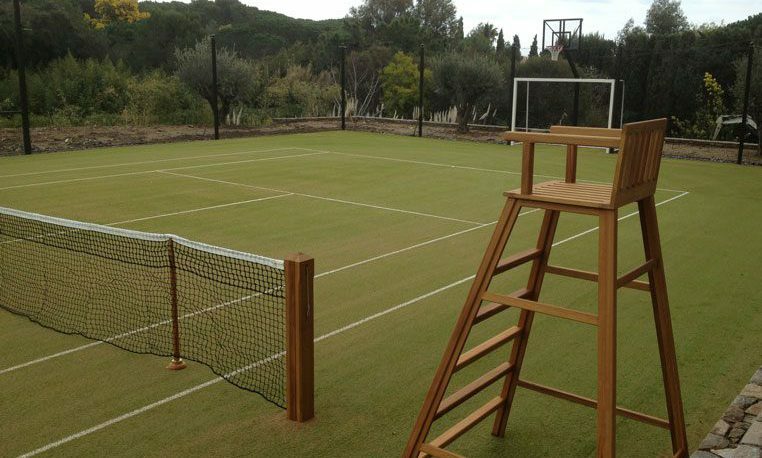 Your court being made of alveolar concrete, synthetic grass, natural clay or synthetic clay, its life time depends on the quality of its maintenance. 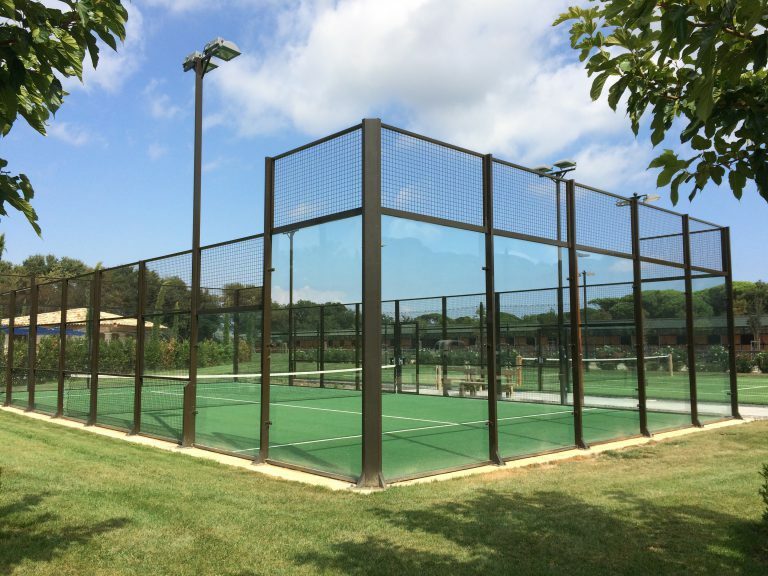 A badly maintained alveolar concrete court may disintegrate and lead to a risk of leaks, an uneven bounce of the ball and the need to rebuild the court prematurely. 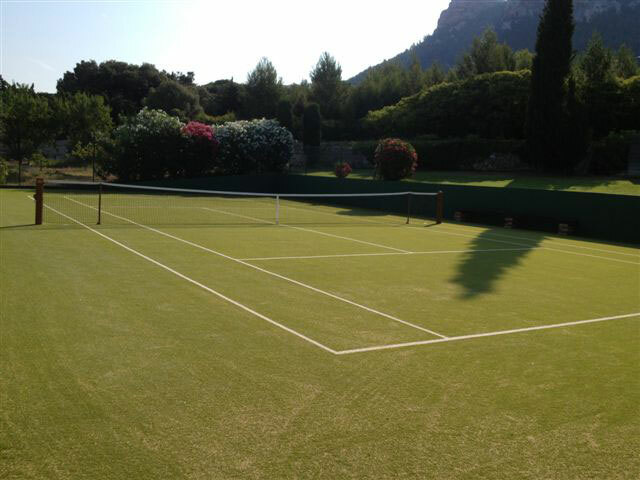 A badly maintained synthetic grass court may age prematurely and will need the playing surface replaced in the long run. 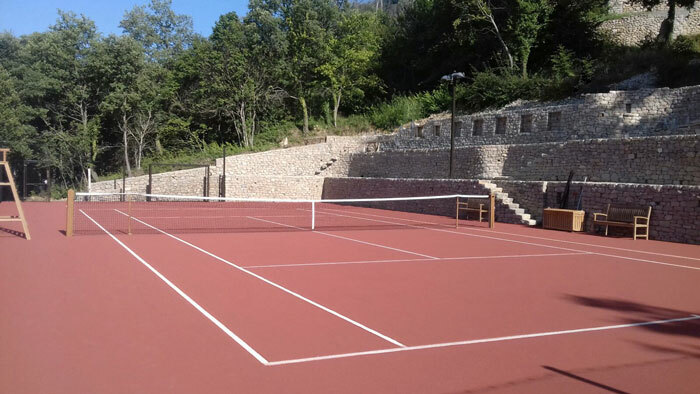 An alveolar concrete court needs regenerative measures every 10 years, which consists of identifying any cracks and gaps in the concrete foundations and fixing these in order to restore the original porosity..
Once these operations have been completed, there is an application using the ‘Airless’ gun in two layers, crossed with a supplementary layer at the bottom of the court of an acrylic paint with an elastomer base, which is resistant to UV and inclement weathers and will make your court shine like new. 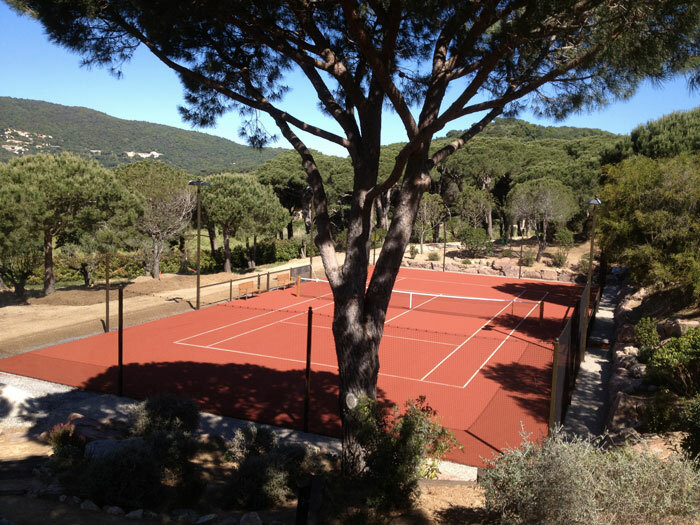 Since 1993, under the direction of Denis Escande, the company building tennis courts, Tennis du Midi is a reference in the south of France, Aix-en-Provence.